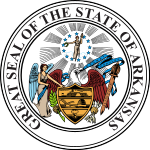 The 1928 United States presidential election in Arkansas was held on November 6, 1928. Arkansas voters chose nine electors, or representatives to the Electoral College, who voted for President and Vice-President. Except for the Unionist Ozark counties of Newton and Searcy where Republicans controlled local government, Arkansas since the end of Reconstruction had been a classic one-party Democratic “Solid South” state. Disfranchisement of effectively all Negroes and most poor whites had meant that outside those two aberrant counties, the Republican Party was completely moribund and Democratic primaries the only competitive elections. As in other areas in and around the Ozarks, a strong Socialist Party movement did develop in the 1900s, but it nowhere was threatening to Democratic hegemony and intimidation largely eliminated its influence from the mid-1910s. The 1920s did see a minor change in this, as increased voting by poor Ozark whites as a protest against Woodrow Wilson’s internationalist foreign policy meant that Warren G. Harding was able to win almost forty percent of the statewide vote; however despite his national landslide Calvin Coolidge in 1924 could not do any more than win the two traditional Unionist GOP counties. In other Outer South states and in Alabama, powerful local Democrats refused to support Smith. However, in Arkansas, the two leading politicians in the state, Charles Hillman Brough and Joseph Taylor Robinson, had supported the New York Governor for more than a year before his nomination had become official. Robinson was the first major party Vice-Presidential nominee from a former Confederate state since Andrew Johnson in 1864, and was a moderate who had refrained from supporting either Smith or his rival William Gibbs McAdoo during the disastrous 1924 Democratic National Convention. The fact that Robinson denounced Thomas Heflin’s claim that some American Senators (including Heflin himself) were being paid or bribed by the (anti-Catholic) Mexican Government and quarrelled with the Alabama Senator violently over whether religion could be a qualification for office further linked him to Smith even before becoming his running mate. During July, the flagging Ku Klux Klan opposed Smith because of his stance against Prohibition, a reform Robinson supported without being dogmatic. However, Robinson’s support of religious liberty was able to ameliorate opposition from Protestant ministers – whom Robinson felt was working for the Republican Party – to a greater extent than other Southern states except for wholly Deep South Louisiana, Mississippi and South Carolina, especially as Brough warned many people that Republican inroads would threaten white supremacy because white girls had worked with Negroes in Hoover’s Department of Commerce. These uniquely successful appeals ensured that overwhelmingly white counties in Arkansas remained at least relatively loyal to Smith, although Hoover did win eight counties that went for John W. Davis in 1924. On the whole, Arkansas’ voting was erratic outside of the black-belt counties where the white minority that did vote remained overwhelmingly loyal to Smith. 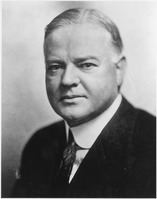 Hoover was the first ever Republican victor in Carroll County, Hot Spring County and Polk County, whilst he was the first Republican since Ulysses S. Grant to carry Sebastian County and Washington County.